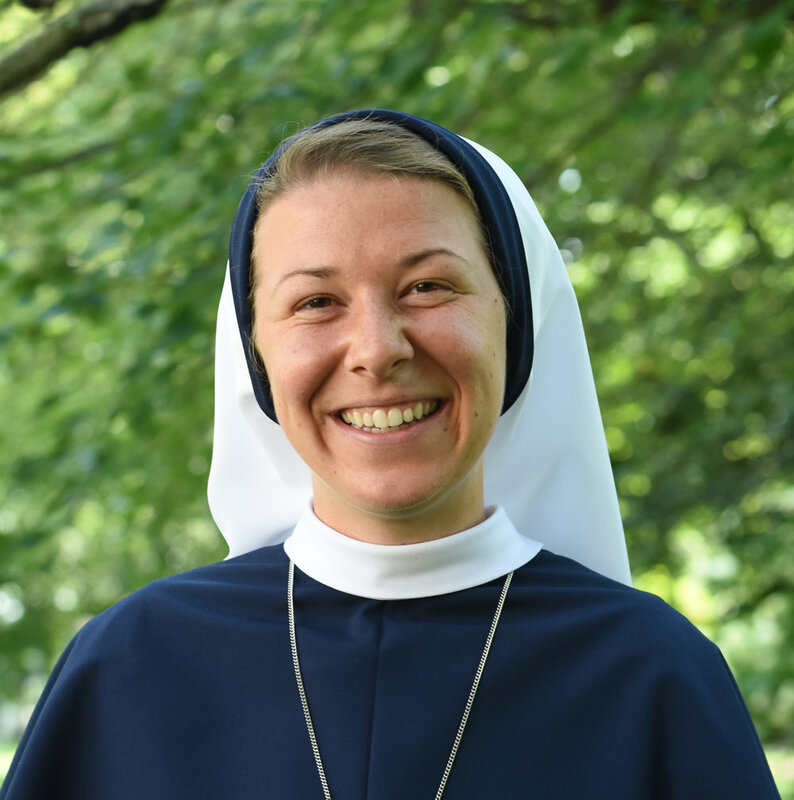 Sr. Ann Immaculée entered the Sisters of Life in 2015. During her studies at the University of St. Thomas in MN, she experienced the Lord drawing her heart to be totally His and surprised by His love, responded to His call. Knowing her own deep desires to build a Culture of Life, she entered after graduation. Immersed in Eucharistic prayer within a vibrant community life, their missions include caring for women who are pregnant and in crisis; accompanying college students on campus; inviting those suffering after abortion to receive the healing mercy of Jesus; intercessory prayer; retreat works; and fostering a Culture of Life through evangelization. Sr. Ann made her first vows in 2018, and currently lives at the community’s Motherhouse serving in the office of Vocations. She loves sharing about the beauty of the feminine heart and the treasured gift of every life. Dom is a speaker and author serving at parish missions, retreats, private events, and conferences throughout the USA and abroad. His speaking and writing have helped people of all ages lean further into the Gospel and apply it to their lives. As co-founder of the Ten Ten Group, he works to reveal to every person their potential to become fully alive. When he’s not on the road speaking, he can be found in Nashville with his wife, Sarah, and their two iPhones. Father Jonathan Paul Meyer is a priest of the Archdiocese of Indianapolis, and was ordained in 2003 after studying at the Pontifical North American College in the Vatican for four years. He obtained a S.T.B. and a Masters in Spiritual Theology from the Pontifical University of St. Thomas Aquinas. After his ordination he served as the Director of Youth and Young Adult Ministry for the Archdiocese of Indianapolis for five years. In addition to being the selfless and dedicated Pastor of All Saints Parish in Dearborn County, Fr. Meyer can also be spotted running workouts with his high school Track and Cross Country athletes, having coached for the last 10 years. Mikayla's mission is to tell the world about the hope and love of Jesus Christ. Through trials and tragedy, she clung to the hope of God’s promises made real to us in the His Word and the Sacraments! In her deepest pain, she encountered the Father’s love in a way that has changed her life forever and continues to transform her from within. She is a living testimony to St. Augustine’s beautiful words "You have formed us for yourself and our hearts are restless until they find rest in You." Mikayla is passionate about leading others closer to Christ through praise and worship and sharing her personal testimony. She resides in Cincinnati, OH with her husband Matt, and four children Ava, Matthew, Elliana, and Capri.